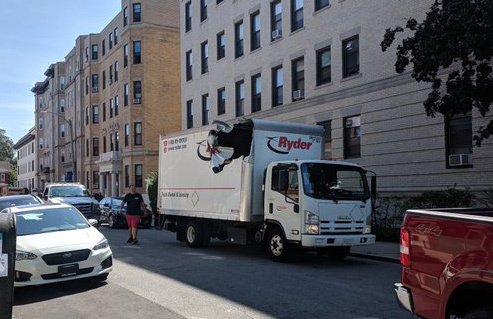 David spotted this wounded truck in Allston early this afternoon. Matt has more: Read more. 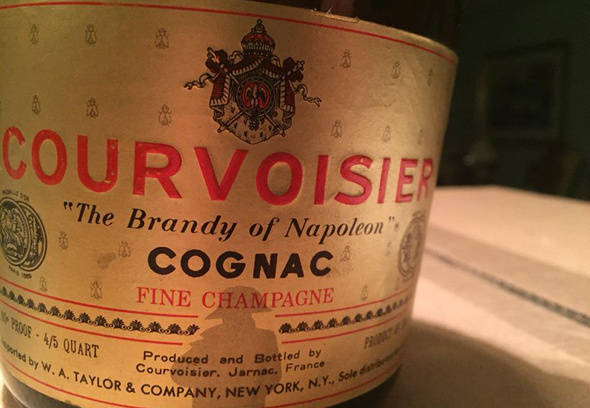 Got a little table and a full bottle of cognac. Thought it would taste nasty since I’m not much of a boozer, but this stuff is great. Allston is officially gridlocked with U-Haul trucks. not a six-pack was stirring, for they'd all been down'd. U-Haul stuck on the tracks at the BU Bridge is the most Allston thing to ever happen. At least since the last most Allston thing to ever happen, back in 2015. Fredly shows us a comfy domestic street scene tonight on East Cottage Street in Edward Everett Square in Dorchester. Comcast has posted flyers on trees, electrical boxes, my door, the cars. We get it. Comcast sells cable. This has to be littering. I asked them to stop and they told me to "duck" off. The rule is "post no bills". 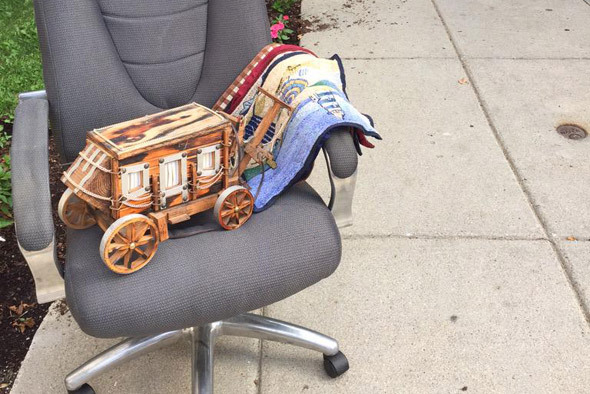 Ari Ofsevit drove around Allston this week and found the locals already getting ready for the big holiday. 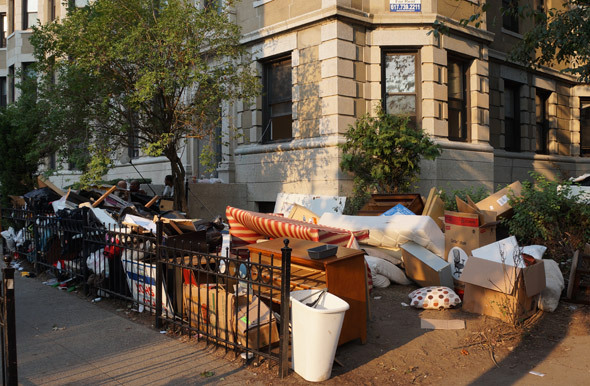 Meanwhile, Jenni K. discovers not everybody's clear on the concept of Allston Christmas: Read more. Just got back from walking my dog in the middle of the street since most of the sidewalks look like this. This trash has been on the sidewalk next to our house since yesterday early evening. Come on City of Boston and Mayor Walsh, you can do better!!! As a nurse who's been living here since the Spring I'm not finding this unsanitary situation amusing... My 1st and last 9/1 on the Hill! Brad is an Allston Christmas veteran, but says he's never seen such an NSFW street present before: Read more. An Allston Christmas miracle: Tiny Tim can walk again - and Mr. Scrooge got him a new air-hockey table! 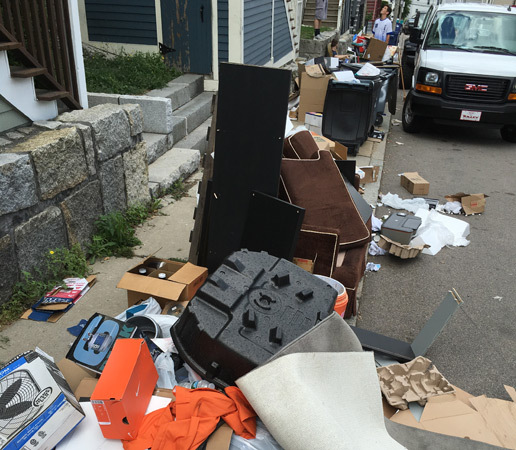 As you might expect, Boston 311 logs are rapidly filling with reports of excessive trash in Allston, Brighton, the North End, Mission Hill and, um, South Boston. One of the more unusual is this detritus on Parsons Street in Brighton. 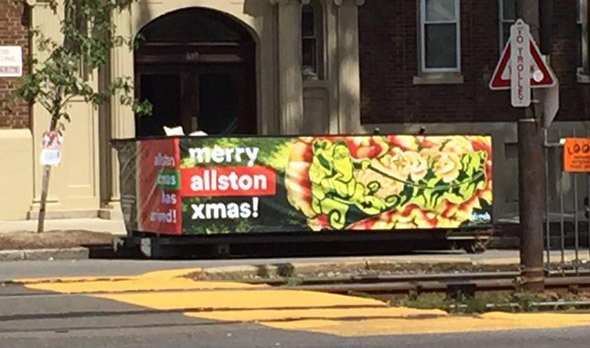 Boston Reddit is looking for the best Allston Christmas photos. Jared Dobson can only utter a hearty "Tis the season!" as he waits to get by a moving van with a driver alert enough to stop before slamming into a Storrow footbridge shortly before 6:30 p.m., if not alert enough to pay attention to any of the "CARS ONLY" signs earlier on his journey. Read more. Plunkett Prime shows us the Budget rental truck whose driver somehow got its left tires over the curb and onto the Green Line right of way and now, of course, it's stuck, and blocking all the outbound B trolleys behind it. Imagine being the building super who has to clean this Gardner Street yard up. Brad Burns spotted some Allston Christmas carolers (and elves handing out fresh fruit from Fresh Format) at Comm. Ave. and Harvard this morning. Don't you just hate how commercialized Allston Christmas has become? DCR, MassDOT and State Police say that since 2007, there have been 25 recorded storrowings on Storrow and Memorial drives and Soldiers Field Road on weekends during which students flow into and out of the city. Read more. Crit ran across an early Allston Christmas offering on Quint Avenue today.